1. Go to stickeryou.com and click on Shop, Stickers, then Clear Stickers. 2. On the Clear Stickers page, click the Make Clear Stickers button. This button leads to the Sticker Maker where you can design your stickers. 3. 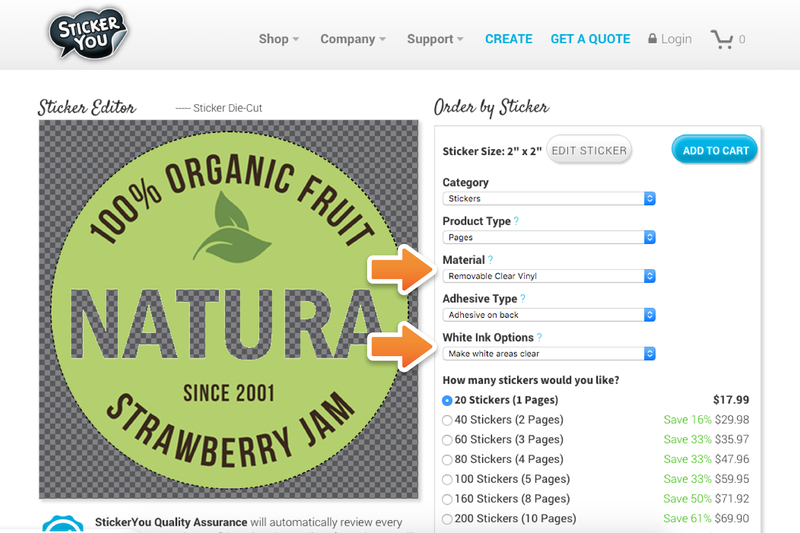 Once the Sticker Maker is fully loaded, you can upload your own image, use one of our template designs, or design from scratch using the design tools. 4. To make part of your design clear, you need to make sure that part is pure white. 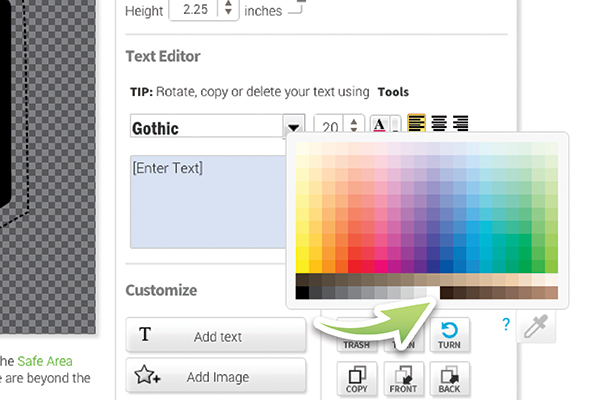 If you are adding clear text within the Sticker Maker, ensure that you select the whitest swatch in the color palette. If you are making your design with an editing program like Illustrator or Photoshop, ensure the clear part is 100% white (CMYK values 0%, 0%, 0%, 0%). Note: It is important that ONLY the parts you want to be printed clear are 100% white. If there are other white parts of your design, they will be printed clear as well. 5. When your design is complete, click the Done Editing button. 6. In the order details, you need to select two options to make sure your white parts print as clear. First, make sure the material is set to Removable Clear Vinyl. Then make sure the white ink options are set to Make White Areas Clear. Voila! Your stickers will be printed on clear vinyl, with the white areas of your design printed clear. 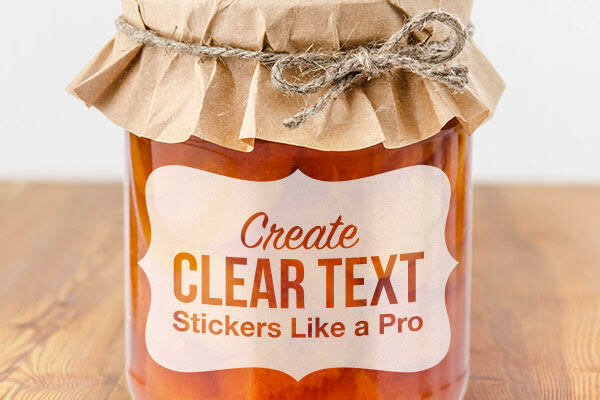 This is a great way to add an interesting effect to product labels or packaging. If you need help with creating your stickers, contact us via Live Chat for instant support or email [email protected] to use our art and design services.